Not to freak you out (JK that's exactly what I'm trying to do), but there will be 12 billion metric tons of plastic in landfills by 2050 if we continue at the rate we're going. Plastic takes more than 400 years to degrade, so most of the 8.6 billion metric tons that we began mass-producing 60 years ago still exists in some form. I'm not crying, you are!!! 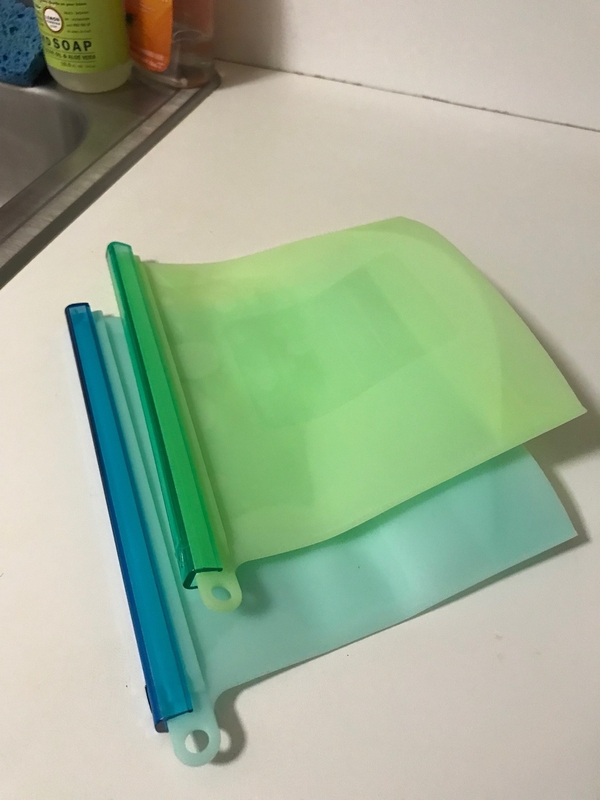 Once I finished panicking about those stats, I decided to take some small steps to reduce waste, so I recently switched from plastic storage bags to these reusable silicone ones! 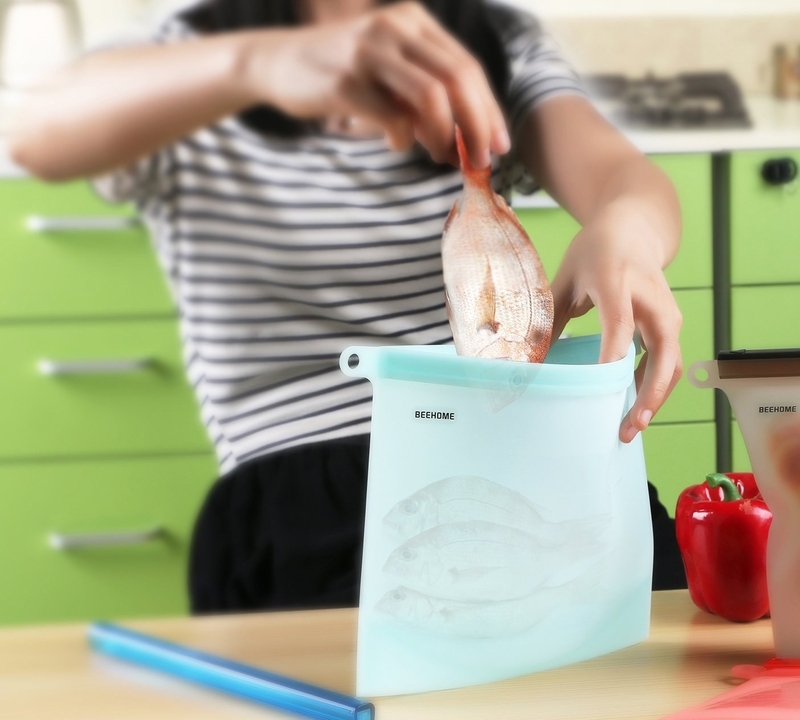 These ✨FDA-approved✨ bags can hold everything from fruits and veggies to meat and fish, and, according to the company, could last you up to 30 YEARS. 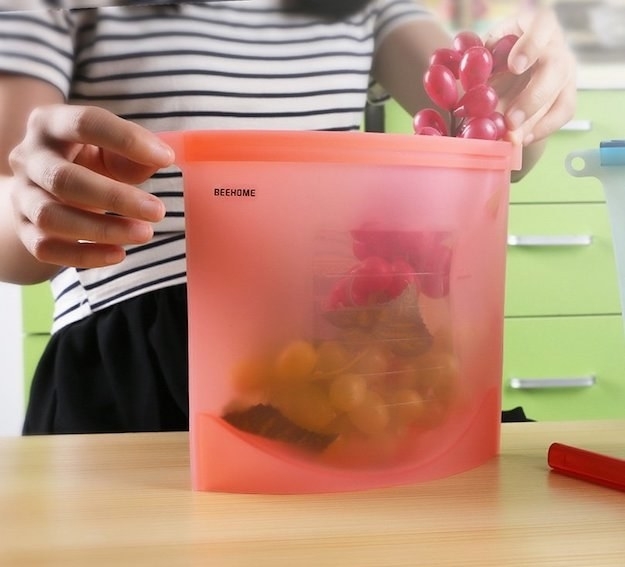 They can contain up to four cups of food, and they're thick and durable, so they can withstand just about anything you store in them. I've used them for sandwiches, leftover rice and quinoa, and most recently, extra chorizo from this Mexican skillet lasagna I made. They're perfect to bring to work (you'll probably hear, "Oh, those are cute!" when your coworkers see them in the fridge), or for picnicking, hiking, or camping. 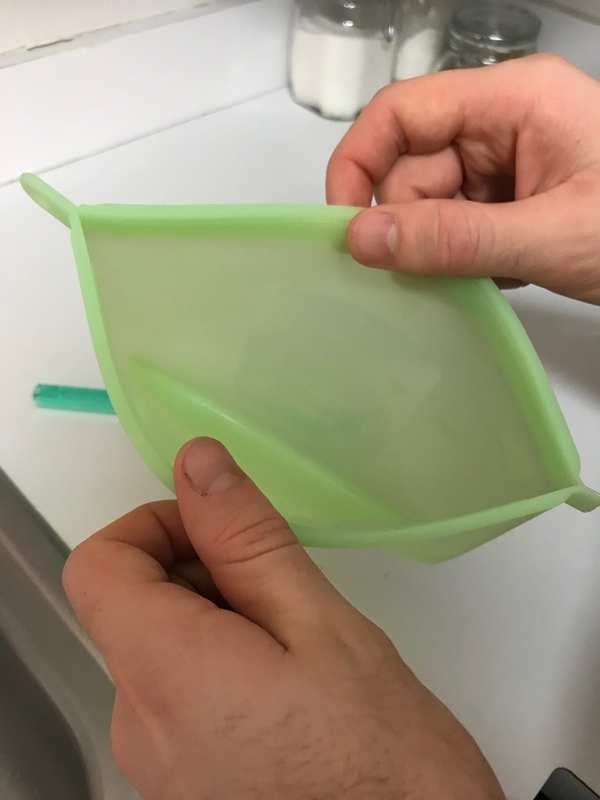 Plus, because they're made of silicone, they stay pretty cool when you put any kind of hot food in them (or pop 'em in the microwave, which you can do! ), so you don't have to worry about picking them up and burning your hands off like you would with plastic or glass containers. They stay closed thanks to a lock bar, which is oddly satisfying to slide on and off, and I haven't had any issues with leakage of liquids or smells. The only one that has stained a little is the clear one (surprise, surprise), but luckily there's no leftover odor, so it's really NBD. If you're worried about staining, just store particularly colorful foods, like marinara sauce, in the red bag. 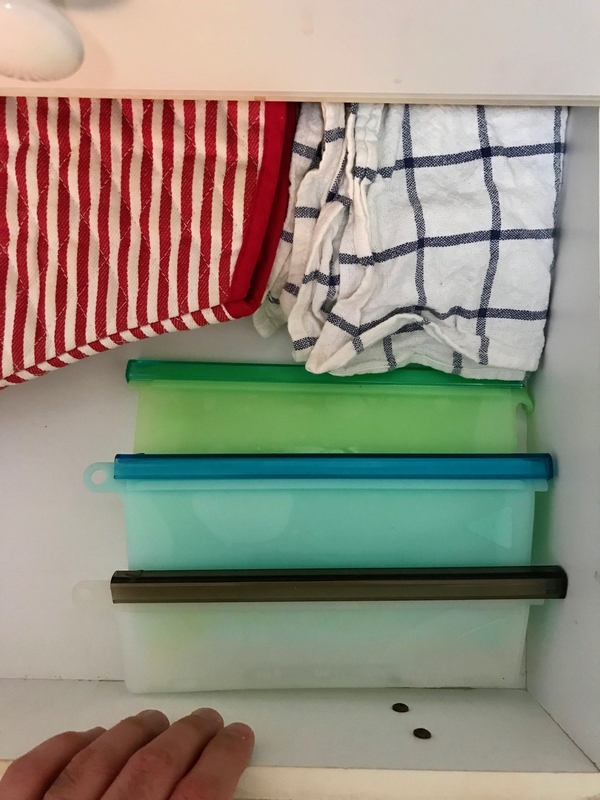 As for cleaning, they're super easy to wash by hand, or you can just toss them right in the dishwasher — they'll stand up straight in the racks. The measurement grid on the outside is a nice bonus too, as Amazon user and baker Darcy47 points out. 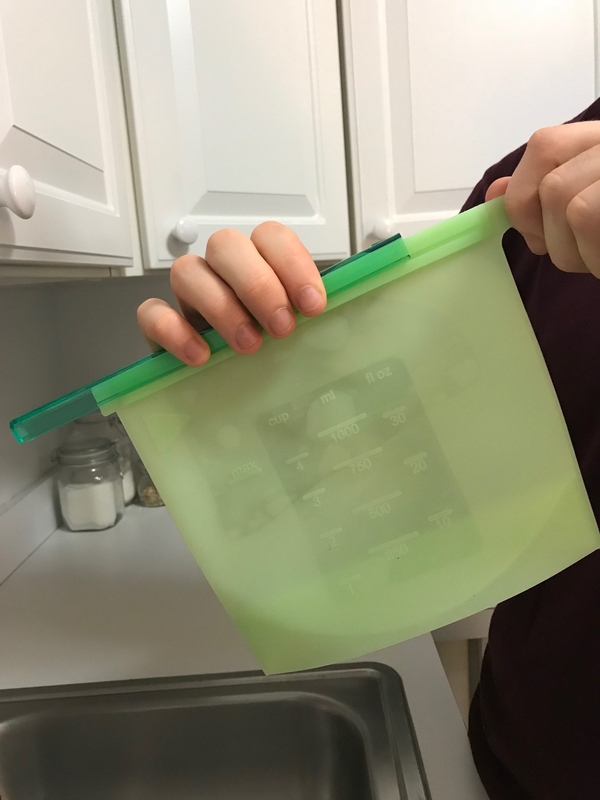 Storage bags may seem like a tiny thing, but if you use them every day to pack lunches or freeze leftovers, switching to silicone can have a major impact over time — on the planet and your bank account. Get them from Amazon for $18.39.